Sugar House has many treasures and we count Hidden Hollow as one of them. 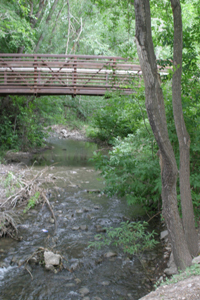 Located along the section of Parley’s Creek that runs through Sugar House Commons shopping area Hidden Hollow was once the original site of Sugar House Park. Long forgotten and covered with years worth of debris and garbage it was rediscovered by a group of students from Hawthorne Elementary who, in 1990 took on the task of restoring the 3 acre natural area. 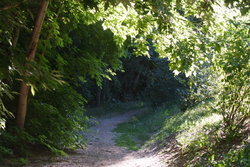 It is now open to the public as a nature community park and outdoor classroom. Hidden Hollow not only has a rich cultural history, but also has significant ecological value. This small 3 acre natural area has a variety of tree groves, a wetlands area, and a riparian forest. 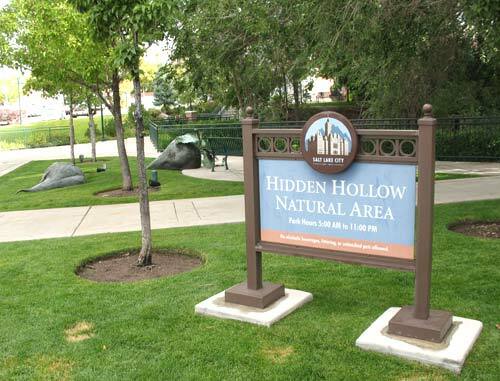 In May of 2000, Mayor Rocky Anderson granted a conservation easement to Utah Open Lands Conservation Association to preserve Hidden Hollow Nature Area as open space for future generations. the current events section of the SHCC home page to find out the next date when you can discover this hidden treasure within our community and be a part of keeping it natural by volunteering for clean up projects.